On behalf of the Lower School search committee and our Head of School - Elect Mariandl Hufford, I am delighted to announce the appointment of Mary Lavin as the new Lower School Director, effective July 1, 2019. Mary will join us from the Windemere Early Childhood Education Center in Amherst, NY where she currently serves as Principal. “Mary’s expertise as an elementary educator and leader is respected and admired by all who know and work with her. This, in and of itself, would make her an excellent choice for our next director of Lower School. However, what makes Mary exceptional and the unanimous choice of the search committee is that, in addition to her professional accomplishments, she is authentic, thoughtful, and warm. She knows and loves children and deeply understands the joys and challenges of teaching. Mary is the exact right leader for our Lower School and I am thrilled she will join us at Miami Country Day this summer," said Mariandl Hufford, Incoming Head of School. 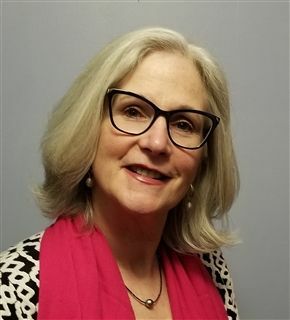 Mary grew up in Illinois and has a Bachelor of Education from Illinois State University and a Master of Science in Multidisciplinary Studies with a focus on Special Education and Administration from Buffalo State College. Mary is a lifelong educator and wears her passion for children on her sleeve. From her time as a Lower School teacher to serving as the Director of both a multi-component therapeutic preschool program and of Early Childhood Education and District Wide Literacy, she brings a level of expertise and experience, second to none, to the Miami Country Day community. In her most recent leadership role, she brought her elementary school from being low performing to becoming a high performing, gap closing Title school that now out performs 82% of all Western New York elementary schools. This model of success is now being replicated in various schools and districts across New York State. She was also awarded Champion for Children - Early Childhood Leader of the Year by the New York State Association for the Education of Young Children. Mary collaborates and works alongside faculty to ensure student success and readily engages parents to continue the education of their children at home. She believes families are at the center of the educational experience and that they should always be provided with the proper resources at home to keep the student learning process on-going. “The moment I stepped onto the Miami Country Day School campus, I knew your dynamic multicultural community was exceptional! The warm, welcoming smiles of the students were clear evidence that they are part of a community that prioritizes strength-based relationships, respects individualism, and fosters learning. Students, teachers, and parents proudly described a school that understands learning is an exciting process achieved by focusing on the whole child, not individual components. I am thrilled to have this opportunity to grow, learn, and lead with the community at Miami Country Day!" In closing, I would like to thank the members of the Lower School search committee for their dedication throughout the selection process. The Search Committee is also incredibly grateful for all of you who played a part in the search. The involvement of our students, faculty and staff, administrators, parents, and alumni was immensely critical in this process, and we thank you for taking the time to meet and provide feedback on all of our candidates.